Monday, 19 Aug 2019 at 7:00 PM . Limited Deluxe 2 CD includes Bonus Track and expanded CD booklet. Price for CD includes P&P. Your album will be shipped separately to your ticket order. Any issues regarding your album should be directed to Customterservice@tmstor.es To celebrate 25 years of unparalleled influence, the iconic Skunk Anansie have announced the release of a new live album, 25LIVE@25, showcasing their incomparable Live presence over a career-spanning collection, to be released on 25th January 2019. 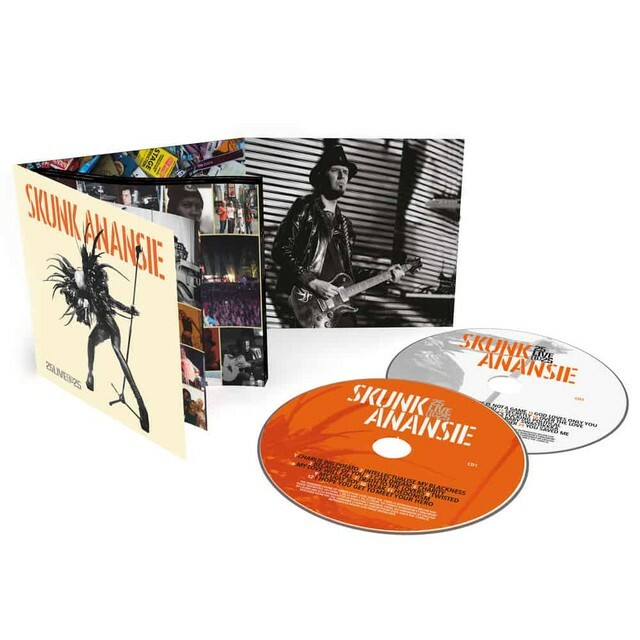 Featuring recordings of the band's incendiary live sets over the years, and sequenced as one unique concert set by Jeremy Wheatley, a long-time collaborator with the band, 25LIVE@25 is both a celebration of Skunk's unmatchable career and their importance as a musical and cultural force. Their exhilarating live shows are a hurricane of energy, noise and personality, an exhortation to become part of something much bigger that's impossible to resist. 25LIVE@25 is a living, breathing, in-your-face document, proving that there is and always will be only one Skunk Anansie. Price for 3 LP Vinyl Album includes P&P. Your album will be shipped separately to your ticket order. Any issues regarding your album should be directed to Customterservice@tmstor.es To celebrate 25 years of unparalleled influence, the iconic Skunk Anansie have announced the release of a new live album, 25LIVE@25, showcasing their incomparable Live presence over a career-spanning collection, to be released on 25th January 2019. Featuring recordings of the band's incendiary live sets over the years, and sequenced as one unique concert set by Jeremy Wheatley, a long-time collaborator with the band, 25LIVE@25 is both a celebration of Skunk's unmatchable career and their importance as a musical and cultural force. Their exhilarating live shows are a hurricane of energy, noise and personality, an exhortation to become part of something much bigger that's impossible to resist. 25LIVE@25 is a living, breathing, in-your-face document, proving that there is and always will be only one Skunk Anansie.